Last Sunset Beach Yoga Tonight at 630pm! Tonight will be our final Wednesday Evening Beach Yoga Class beginning at 630pm. If you haven’t had a chance to experience the beauty of our own North Shore beach at sunset, tonight is the night! Beginning next week, Wednesday night class will be held in our yoga room at 7:15pm and will require advance reservations. Sunday Morning Beach Yoga will go for another week or two depending on weather. Follow the link below for beach yoga details. 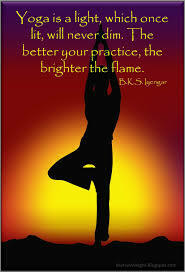 Keep yoga light burning bright!!! Hope to see you all at the beach!! Previous PostYoga this Week – August 30, 2014 – Beach Yoga Tomorrow 8:45amNext PostBreaking News!!! Live Music tonight for our Beach Class!!! Have not been to yoga for a long time. Tonight happens to work out! What beach? Thank you Amy for my first beach yoga experience. Looking forward to next summer!